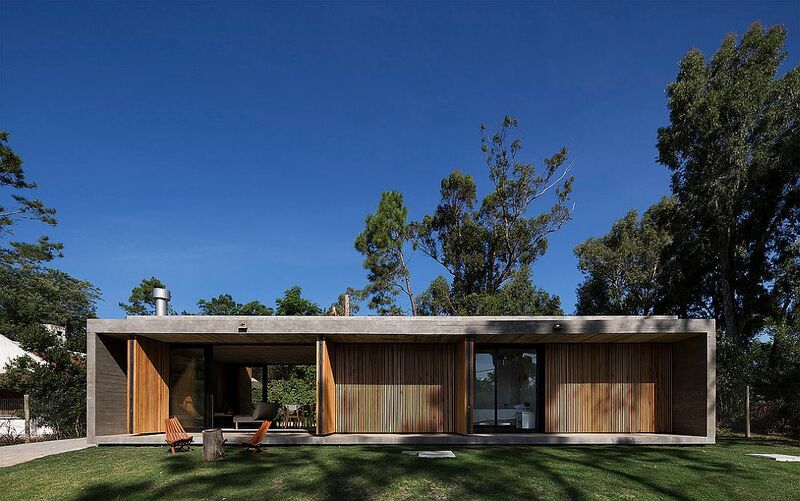 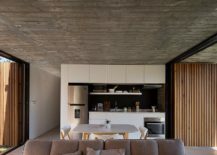 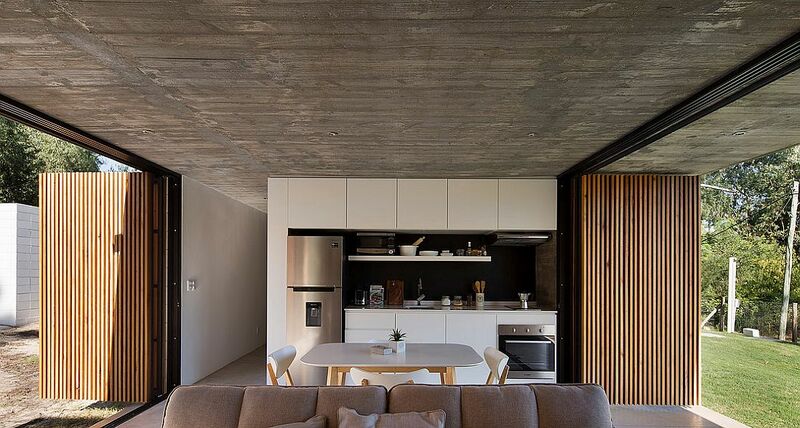 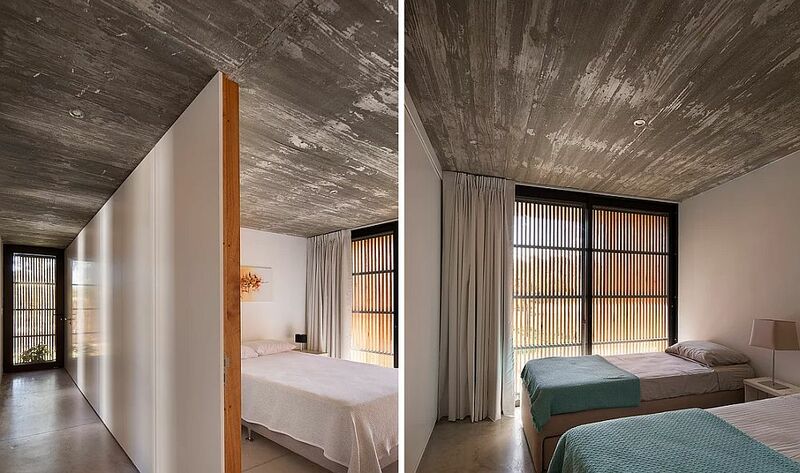 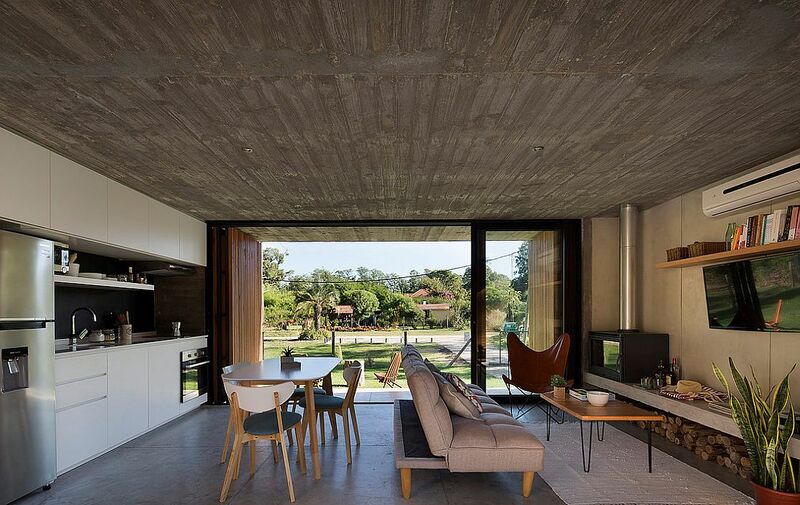 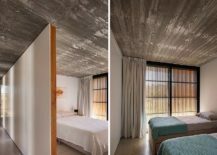 A balance between complete privacy and an open ambiance that connects the home with the outdoors, Marindia House in Montevideo, Uruguay presents two completely different worlds to you. 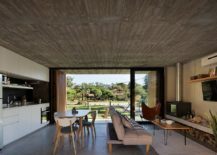 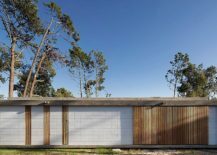 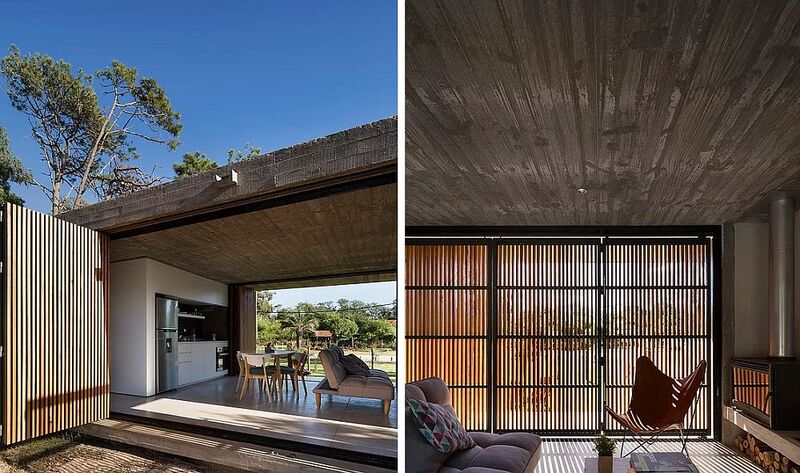 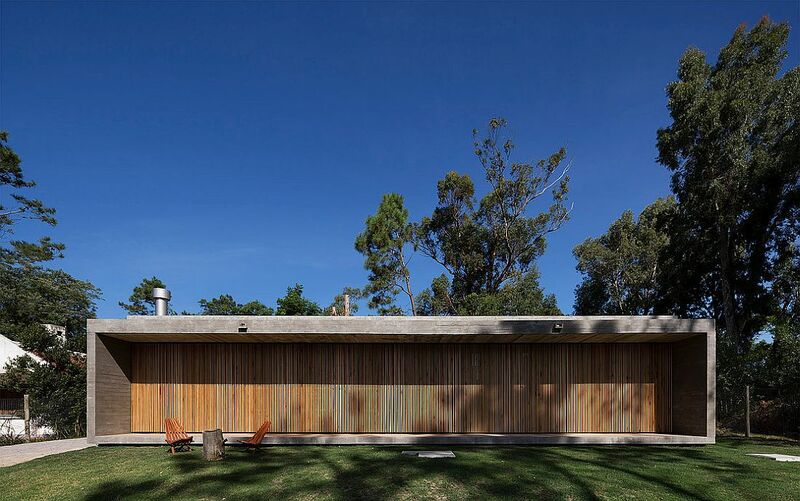 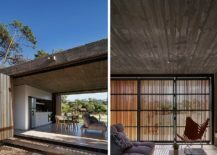 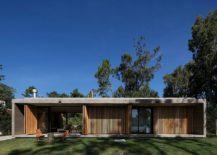 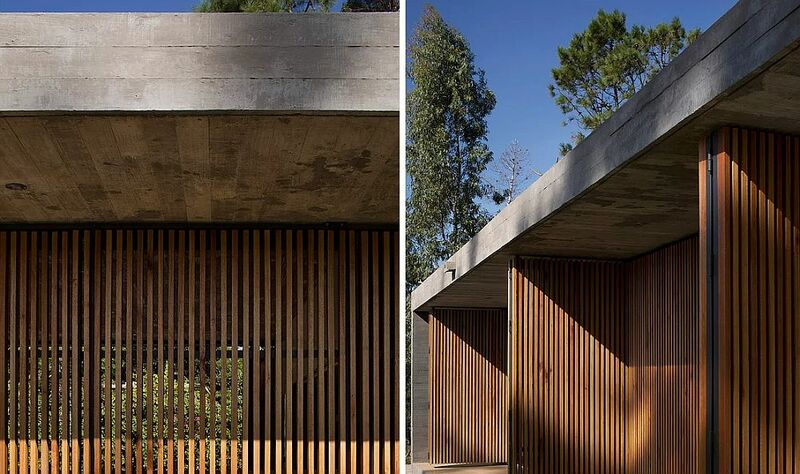 Designed by MASA arquitectos, it is a series of foldable walls with wooden slats that allow the house to turn a closed living area, kitchen and dining into an open, pavilion-style setting that is one with the landscape around it. 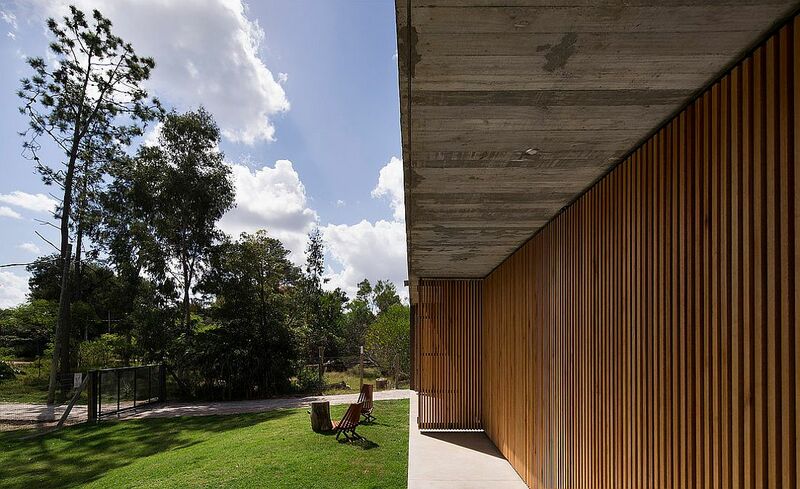 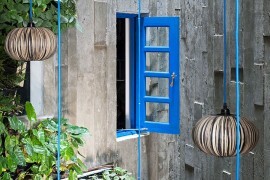 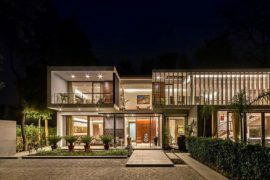 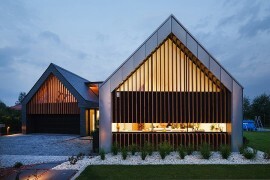 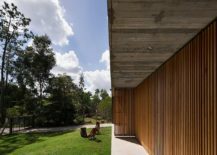 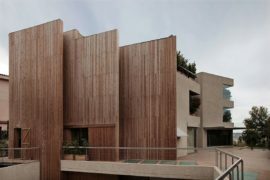 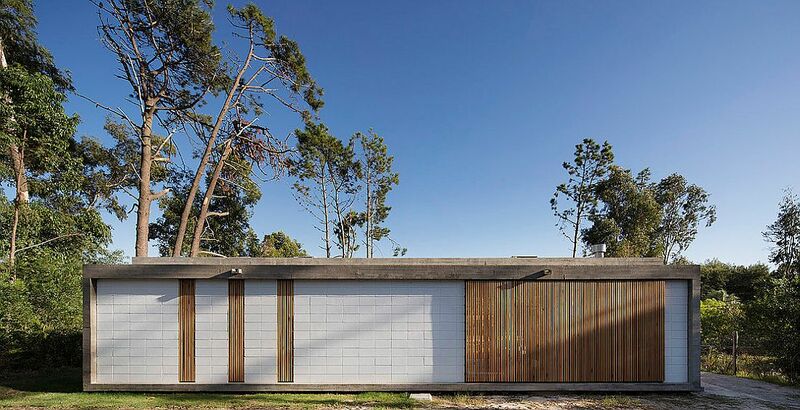 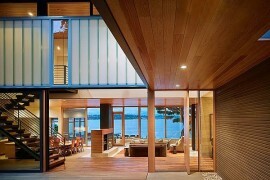 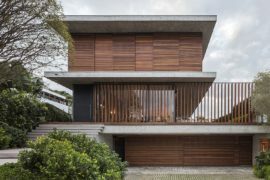 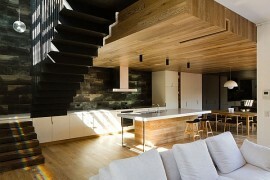 The beautiful use of wooden slats also gives the residence a unique façade, setting it apart from others. 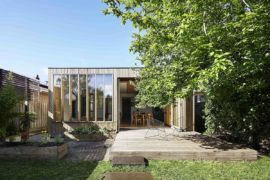 It also allows sunlight to enter the home in a controlled, filtered manner, keeping the temperature inside cozy and comfortable. 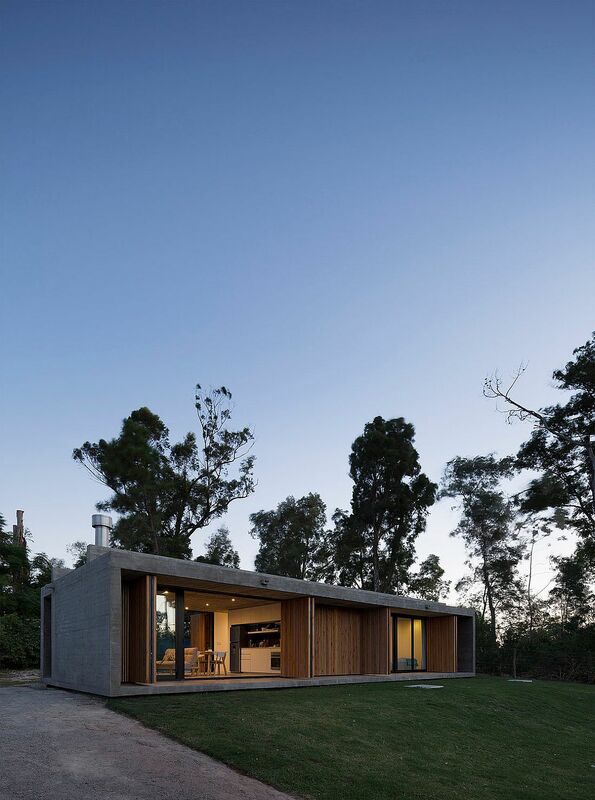 The natural landscape is enhanced with the geometry of the construction, and the house, it seems more habitable and protective in the presence of a wilder and more virgin natural landscape. 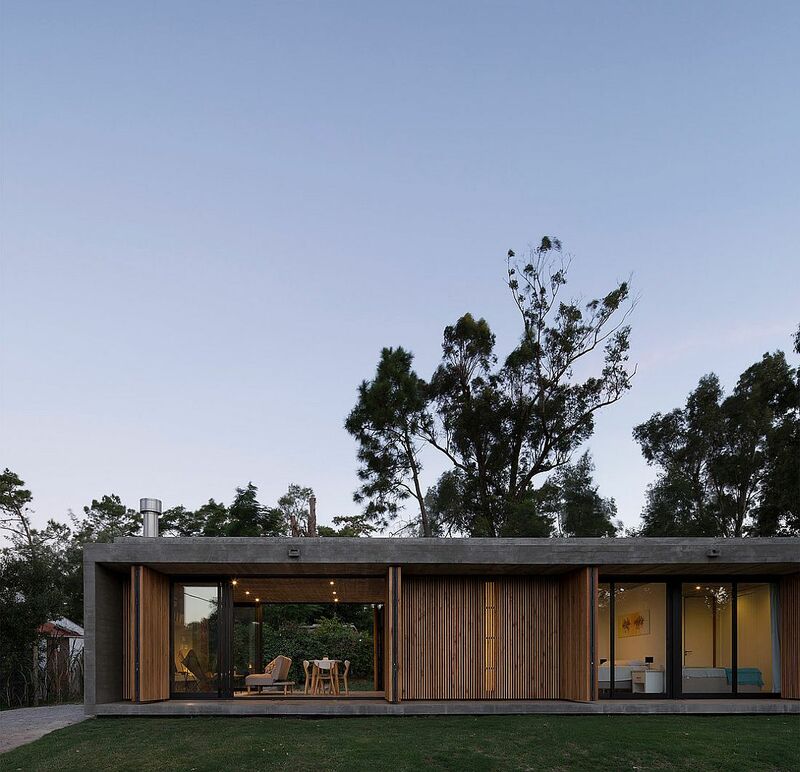 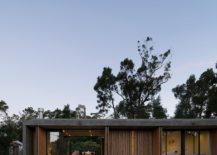 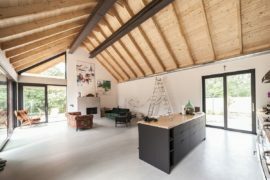 The envelope is posed as a filter that diffuses the edges, a veil, capable of being opened wide, allowing nature to enter the domesticity of the home.